Kristin specializes in long term weight loss strategies, stubborn digestive issues, detoxification and the myriad of issues that accompany stress. She offers a fantastic and proven Wellness Program to help make permanent lifestyle changes in the lives of her clients to not only improve their current health issues, energy, vitality and zest for life, but also reduce their risk of many chronic disease states for a longer and healthier lifespan. 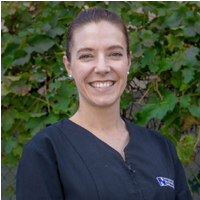 Kristin has a Diploma of Remedial Massage with certification in Deep Tissue Massage, Chinese Cupping, Pregnancy Massage, Lymphatic Drainage and Reflexology. She is experienced in Hot Stone Massage, Aromatherapy Massage & Aromatouch Technique. She delivers targeted and effective Remedial Massage treatment for pain relief, injury, decreased mobility, headaches, stress, tension, lymphatic drainage and general well-being.